Your online culinary certificate will open the doors to a world of job opportunities. 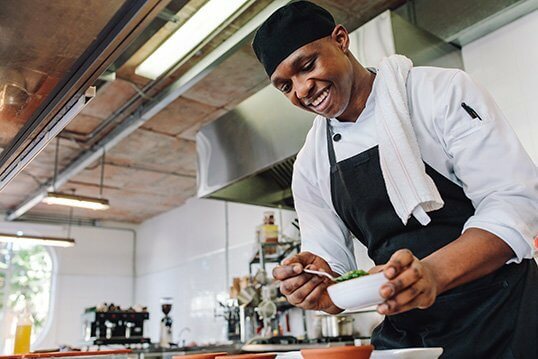 While many culinary artists may seek to rise to the executive chef position, there are other appointments that can be just as rewarding. Get to know the plethora of jobs available to you as you continue your training so that you can find the perfect spot when you graduate. If you are a creative, image-minded individual, you may find that a career as a food stylist is the right fit. You will be responsible for arranging food in the most visually appealing way before it is photographed or filmed. 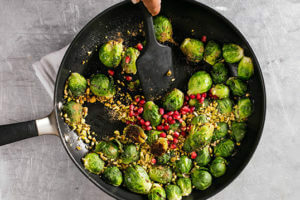 Food stylists also experiment with cooking techniques to make the dish look better longer, have brighter colors and more. This culinary path allows you to design menus and cook specialized dishes for individual clientele. You may work for one person or for several people, making meals catered to their needs. Personal chefs often create an entire week’s worth of food to be frozen and reheated at the client’s whim. There are many benefits to taking on this role. You essentially work for yourself, as you find your own clients. The financial compensation of being a personal chef can be appealing, especially if you cook for affluent individuals. You will have a large amount of creative freedom, unless your client has dietary needs and detailed specifications. These jobs are generally less stressful than working in a fast-paced restaurant kitchen. Pursue your passion for cooking while living on the open sea by taking a job as a cruise line cook. You’ll work in the kitchen, which has a similar feel to a restaurant. However, you’ll be pulling long hours with lower wages than chefs in other lines of work. The major trade off is that you get to travel. If you’re taking online pastry courses, owning your own bakery might be the career path for you. Owning your own shop means that you are the boss. Your clients will range from pedestrians who walk by the shop to couples getting married to corporations looking to bring in sweets for a party. The wide market allows you to pull revenue from many sources. You’ll need to have some business savvy to be sure your bakery stays on its feet and flourishes. Most of the precise skills you learn are from your online culinary school instructors. They pass on their cooking knowledge so that you can hone your skills. This job is available to you once you’ve earned a certificate.